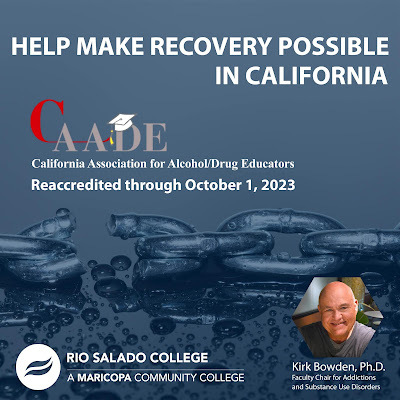 Rio Salado College | RioNews: Make Recovery Possible in California! Make Recovery Possible in California! 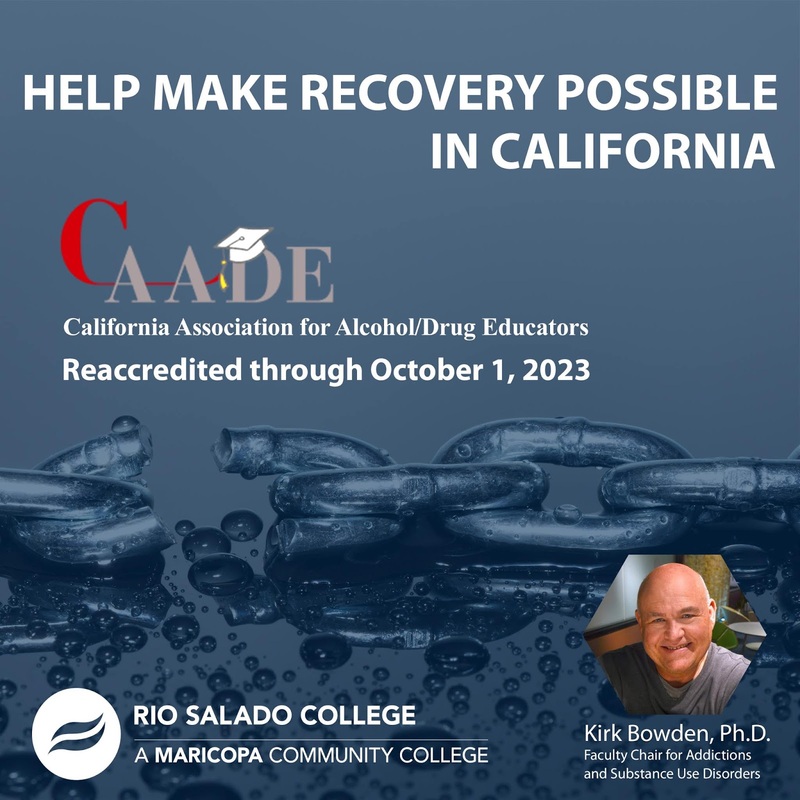 Rio Salado College’s Addiction and Substance Use Disorder Program was reaccredited by the California Association for Alcohol/Drug Educators (CAADE) through October 1, 2023, which is the maximum timeframe for reaccreditation. CAADE is the college and university accrediting body in California for addiction counseling programs. Students who graduate from Rio Salado with an Associate of Applied Science (AAS) Degree in Addiction and Substance Use Disorders (ASD) are pre-approved for CAADE credentialing! Learn more about our Addictions and Substance Use Disorder certificates, degree and continuing education offerings at www.riosalado.edu/ASD.